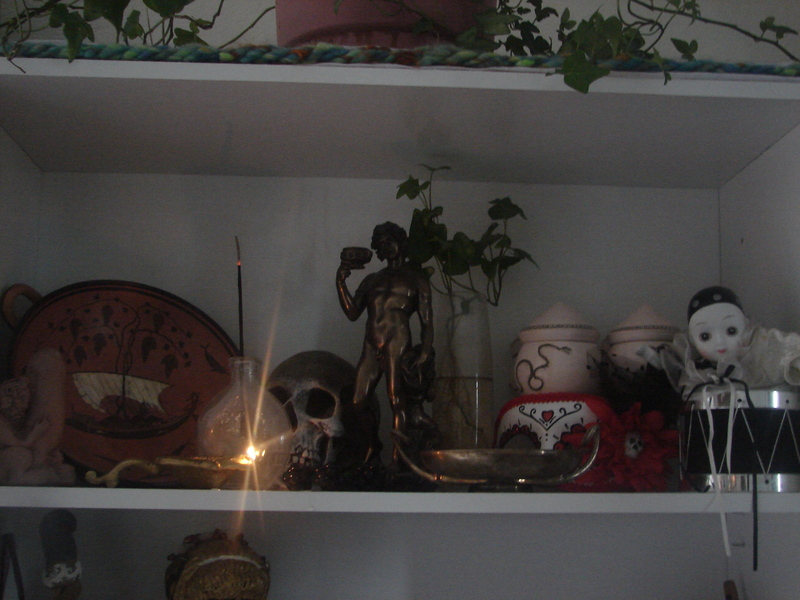 It is that time of the year where many polytheistic cultures celebrated the harvest. In Hellas the entirety of the summer and into the early autumn was the season of harvest. Grains were harvest in the first half of summer which also saw the festival of Kronia honoring the golden age of men and Kronos. The prelude to the harvest time was the Thargelia of Apollon in which the green grains were offered to Apollon in preparation for the harvest season, likely so that sunny dry weather would prevail in order for the grains to successfully ripen. Many crops rely on dry sunny periods in order to ripen, not only grains but also grapes. The initial harvest of which, like with the grain, involved the honoring of Apollon who sustains the crops. 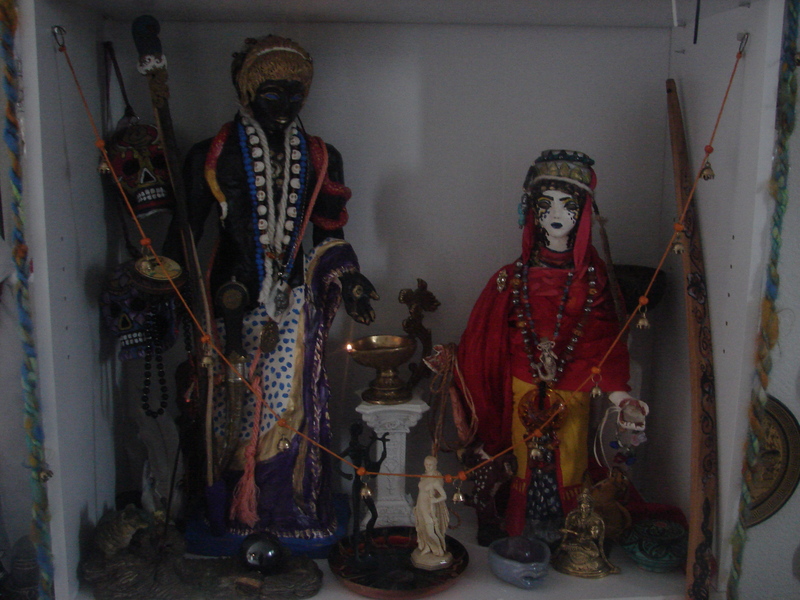 This Karneia is an interesting festival as a culmination of summer festivals to the god during this harvest period. The death of Hyakinthos in Sparta and his relation to the wheat bread the harvest of which occurred roughly around the time of his festival has a strong suggestion of agrarian sacrifice and receiving the divine blessings. The Gymnopaideia which honored the youths who have matured into radiant young men who danced unarmed for their society which no bachelor was permitted to witness, which may not only have to do with the societal obligations but symbolical of the propagation of nature and as a festival during the summer harvests it may have some relationship to honoring the propagation of the harvest which has successfully matured and whose grains would not only feed the society and sustain its continuance but also be sewn in looking towards the future. The Karneia which followed was also the shepherd harvest where spring lambs that had been reared were often butchered in thanksgiving. Thus the grains and vineyards were followed by the sacrifice of flesh. The bread, the wine/drink (keeping in mind that during this period that drinking water was often not very clean and so people depended on the bacteria killing spirits, watered down, as a drink) and meat. The very basis of sustenance. Although many regions, especially in the further north, do not experience this summer long season of harvest (here in Alaska you don’t really see much of harvest until the end of August and early September before everything goes crashing down into an abrupt winter). All the same, August has for many cultures of Europe been a time of thanks to various gods who preserve the harvest and are responsible in some manner for it thriving. Right now may who honor Celtic gods are celebrating the festival of Lugh with the bounties of ripe fruits and grains. For Hellas this is the time of winding down towards the Eleusinia in September around the time of the Autumnal Equinox is an excellent example of the importance of harvest in the honoring of the departure of Persephone. It is proceeded by the festival of Zeus Epoptes which may have relevance to the beginning of the rainy season and the conclusion of the harvest as Zeus the overseer who plans out the proceeding events of the marriage of Persephone, as the grain is planted within the earth to germinate once more to bring plenty to the world. I have expressed my thoughts on an old website of mine that I recently refound/remembered here in which I discuss further my thoughts of Zeus Epoptes. The Eleusinia couldbe considered the high harvest festival in all its grandeur. It honored not only Demeter and Persephone whose mysteries are the very continuance of all things in blessing of plentitude, but also as what was a time for honoring those gods who are instrumental in these mysteries. They who receive special acclaim for the blessings of the harvest. As far removed as most of us are from the important reverence of spirit of thanks for the harvest in our high tech world in which we can get all manner of foods available at any store at any time of the year, we don’t perhaps quite understand that feeling of having your societies entire health and welfare dependent on successful crops. Most of us in first world countries don’t know what it is like to experience famine from failed crops (and pray that we never do experience it’s devastation!) It is quite understandable that during the harvest festival Apollon himself would receive two offerings. One, a goat, likely dealing with his blessings as seasonal lord of the dry warm harvest season that permits the successful maturation of the crops (more the point than the weather, but related to the weather for its necessity to this case). And the latter, a pig, something which was sacrificed to not only Apollon Noumenios but also to certain aspects of Apollon as a helper of men, like to honor him as a god of plague (ie famine in most cases). Zeus is the only other deity that I am aware of who gets two offerings at the Eleusinia. But that aside, there was a host of numerous deities which by necessity must be given honor to. We know of the Calydonian Boar which was sent to plague men when Artemis was forgotten during the harvest sacrifices, which could be a mythic signifier of how serious and important the role of each the deities take in providing for the dietary welfare of the people. It is more than a grain mother and daughter which gets the most emphasis, but rather a time of true thankfulness for an entire host of gods in a spirit of reverence for survival of one’s household and offspring that will not face starvation. It is not the platitudes of the American Thanksgiving in a very generic spirit of thanks in a rather abstract way that most tend to celebrate, but a knowing and fending off of hunger that looms ever threatening. They are the gods who are by their grace the sustainers of life. Each culture has them and gives reverence to them for their mercy and kindness. It is of no wonder that the agrarian cult of Demter and Persephone which feeds and sustains mankind as a mercy and blessing would translate into the spiritual world in which souls are saved even as the crops save us from hunger. I would recommend in all earnestly that before celebrating the end of the harvest and the gifts that the gods have so generously endowed us with a short period of fasting for those who are able to remind us how much a divine blessing food is for us as a true gift from the gods. I think that this year I must give special thanks to Annapoorna-Artemis with her lovely spoon/ladel, nurturer of life, who extends her hand to nurse mankind until we have reached the end of our age and are ready for her arrows. Artemis who is not only a goddess who is a divine nurse but also a provisionary of the fields by holding off the wilderness from encroaching into the fertile fields and the blessings of wilderness displaced for crops, is understandable how grievous it was to forget her, and how her mercy was instantly revoked as the very agent of the wilderness, the Calydonian Boar. was sent forth into human habitation and fields to bring death and destruction. Ever ought one by thankful of her. For Annapoorna dispensing out food, for Artemis who provides. This is especially relevant for Alaskans where given how harsh a wilderness we are surrounded with and with comparably very limited spaces for crop growing or viable for supporting herds of livestock, many people find what provisions they can in the wilderness. The wild berries, the salmon runs, the hunt. She is important not only for what the wilderness provides but for the viable spaces too that she establishes for us. Thanks be to all the gods during the time of the harvest. When I speak of Artemis as the divine nurse I don’t mean to bring forth the imagery of Artemis whipping out a breast to suckle newborns, or anything of the like. I don’t even agree that the orbs attached to the Ephesian statue are breasts (although Roman copies in Italy have exaggerated into breasts), rather I think of them as eggs which was a very important mystic motif in the Hellenic world. Rather, even as Artemis is widely associated with numerous streams and rivers, she is a goddess who at the birth of the baby draws up the nourishment for the baby (ie lactation). This is her provision of nourishment for the newly born who need to nurse as most warmblooded creatures require. It is for this purpose that she was likely honored by wetnurses of infant boys in Sparta, as well as her wide worship as Kourotroph (a role she shared with Hekate, and Ge notably). Her role of nourishment though should be taken in consideration of the sum of the whole. She was important enough in the harvests that she sent the Calydonian Boar to ravage when she was forgotten in the harvest sacrifices. In Italy we find the cult of Diana which the sacred Nemoralia in August was said in part to have been celebrated to hold off autumn storms from devastating crops which may have some cross cultural sharing given the sacred laws inscribed in Greek at her temple). Artemis’s own role as Soteira, that we find a loose connection with human nourishment through protection of the crops, as well as protection of young animals that she provided as consumption as the huntress of the mature wildlife. With her associations with rivers and streams there are also tentative association with freshwater fish. As such it is all connected with the concept of nurturer and sustenance that allows from growth and development. As a huntress such growth and development, and thus proper nutrition, would be of high priority to her as a goddess who is also a huntress. This quite relatable to Artemis’ manifestation in India as Parvati when she comes in the for of Annapurna. Although Annapurna is associated with provision of meals of rice and grain, she herself is not really, to my way of understanding, a grain goddess. She doesn’t bring the grain nor is she responsible for its production and cultivation. She provides the nourishment. It can be said that the food end-product which she distributes in order to feed men is more her area, something which began with her feeding the world with Shiva. 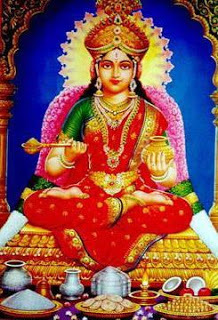 She is overall a goddess of nourishment in general, “Ann” being food and “purna” referring to full or complete. In this sense she is considered too the goddess of cooking, which seems like a strange role to association the very apparently undomestic Artemis with until we consider that cooking food is believed to have its origins in Neolithic hunting where game meat that would otherwise be too tough to consume was softened by cooking. In which case we can see a very tangible link between cooking and hunting despite notions of the person who brings home the bacon being separate from the person who cooks said bacon to borrow a colloquialism. Her associations, like Apollon, to the living flame further reinforces it. Again to look towards Nemi which may or may not have connection to the Hellenic Artemis cults, there was a significant votary connection between Artemis and the lamps of Vesta. There are many ways in which we considered Artemis and Hestia to be cooperatively working goddesses, and the production of food in cooking would be a huge common territory. Even the vague lunar associations that Artemis has are not distinct from Annapurna as the goddess is depicted seated with a moon upon her brow. The moon has a long history of association with making full and increase, which may be the basis of Artemis’ connection with the moon as well as it is not otherwise very clear exactly how the moon fits into her overall cults. The pull of the moon on growth, the movement of the tides as well as tracking the times for harvest and planting (anyone seen a falmer’s almanac?) is quite significant when taken into consideration the vague connection Artemis seems to have with the harvest. Such connection becomes more evident when we look at myths in which Artemis, with Athena, was said to have led Persephone to the spot where Hades stole her away. The marriage of Persephone is very much lined up with the grain harvest and the sewing of the new seeds (plant eggs) which would be very evident in the worship of Artemis if she is implementing these activities in her mystic mythic role. This certainly provides an interesting slant to Annapurna’s neglect of the food giving fields causing all things to go barren. It is not because she is responsible for plant growth necessarily. But the harvest and planting that is part of food production she plays a part in, just as wild animals disperse seeds through consuming them and defecating the seeds from their bowels. Consumption and food making are not separate from the process of cultivation, but neither are they directly the same. We see this too with animals in which Artemis is the huntress who provides for young creatures and protects them but has also been connected loosely with their fertility and reproduction even though she is not a fertility goddess strictly speaking. The connection between crops and animals is a close bond that we can even see even with Apollon and his associations with protecting and harvesting herds and crops alike. Her likeness in this respect with food grains is probably part of what significantly connected her as a daughter of Demeter whose myth of the barrenness of the earth bears similarity to that of Annapurna. Further, associations with Artemis and primal energy can be linked to food as well which provides the physical body with energy, even as she herself fills the spiritual body with energy in the pursuit of her spiritual hunt towards driving forth our souls. I talk more of Artemis and energy in my post here. Likewise the prayer to Annapurna address she who gives her energy to Shiva, this is his nourishment, not the material food. In either case what is important to take away is less the myth surrounding what is going on but more towards what is being presided over. She is offering nourishment and sustainment to the body and the soul. This is the importance of this function of Artemis-Annapurna. That said I can really easily imagine Apollon and Artemis getting into a heated argument over the importance of spiritual pursuits vs food/nourishment. I have spoken before of the cosmic unity between Apollon and Artemis. I have spoken of this in reference to their interlocked domains and in comparisons to Apollon and Siva. Recently I read a passage that speaks of the work by Macrobius from his work Saturnalia in which he ascribes Janus essentially as being the composite whole of Apollo and Diana, stating the providence of Apollo and Diana over the doorway and streets. This makes quite a bit of sense to me and has been something I have been leaning towards. I have read two descriptions of Janus’ two faced somewhat aniconic form. One describes him as bearing a youthful face and a bearded face representing youth and age and thus the passage of time and the doorway of which he oversees. The other descriptor states that the two faces are gender opposites, one masculine and one feminine. I have often wondered why the imagery of Apollon Agyieus persisted in Rome and through the Roman Empire when I have never seen any evidence of the domestic worship of Apollon. In fact, I had always assumed that with the adoption of Apollon that their Apollo was adopted simply lacking the domestic features that were so important to his Hellenic cult. However this was something that struck me as particularly odd given just how important it was that it would be so abandoned, and even more so when I came to see how many Agyieus representations were present in that part of the world. For years I have simply ascribed to the simple explanation that the household cultus was not adopted because the providence of Apollon in the domicile was already covered by Janus. This conclusion was reached after formerly abandoning the identification of Apollon and Janus with each other on the assumption that this identification in branch of stregheria I was familiar with may have been an assumption of later folklorists from which the founder drew. That said, now reading this material from Macrobius I am forced to reevaluate those assumptions of my youth when I prayed to Apollon and hailed him in the same breath as all-seeing Janus. That these prayers that would flood my mind’s eye with light and heat are something precious. That just perhaps this instinctual alignment and association was perhaps containing something worthwhile. According to Macrobius Janu was the universe itself, holding to my associations of Apollon/Artemis with Phanes, whose name was derived from eundo given that the heavens are always in motion. This has a stricking similarity to Socrates discussion on the inherent meaning on the name of Apollon in which he suggested that Apollon referred to him as the god which keeps the bodies of the heavens (and really all things) moving together harmoniously. Even the Neoplatonic view of Janus as the god of the doors of the heavens and hell aligns with Hellenic worship of Apollon not only as gatekeeper and his celestial associations but also his khthonic ones as funerary god of the cemetery. Given that Artemis shares in all the same prvidences as Apollon we can link her to nearly all of these same designations as well. Associations of Janus with the compass of the world is also quite familiar in my own thoughts regarding Apollon, although ones that are likely not shared given that they are my own doxa and conclusions. Whereas I generally ascribes the directional winds Somewhat related, although not quite the same, Marcus Messala indicates that Janus unifies the opposites and brings together the four elements in the compass unifying the elements where they meet. While the texts giving this information is neo-Stoic which had a high emphasis on Apollon as god of gods, this does not discount the close undeniable association of Apollon and Janus….and kind of amusingly that Jarilo whom can be identified as a Slavic possible origin of Apollon possesses a name that bares similarities to both the names of Apollon and Janus, although that is just my amused speculation there. In many ways I am seeing Janus as kind of Parasiva, or perhaps symbolically more accurately comparable to Ardhanarishvara in which Parvati and Siva are unified, as the unified form of Apollon (Apollo) and Artemis (Diana), nurturing and consuming presider over the heavens and the earth, binder of things, ensarer, unifier, destroyer, guardian. Apollon’s arrows have been poetically described as serpent arrows. This signifies certain qualities of serpents of the venomous nature. The arrows are fiery, stingy and eating like flames in the skin, probably similar to the feel venom entering into the blood system. While I have never been bitten by a venomous snake, I have been stung by a wasp and can well understand the feeling of fire on the skin. It is an interesting turning of the imagination to imagine the arrows of Apollon projecting out, entwined with fiery serpents, dealing their death blows and consuming that which they pierce. They do not merely wound, but like greatly venomous creatures, their sting is certain death and consummation by fire. As the Hellenic peoples saw Leto in the Egyptian Uto/Wadjet (the nurse of Horus and Bast, which may have some connection to how Leto was perceived in her relationship with Apollon and Artemis in the mysteries where the twins were regarded as the children of Demeter (Artemis) and Persephone (Apollon), we can see a definite serpentine connection as Uto is typically represented in the form of a winged cobra crowned by the sun, sometimes with the head of a woman in something of a naga or Echidna fashion. Although Hellenes identified Uto with the night, as preceding the light of the divine twins and said she escaped Typhoen by turning into a shrew, the serpentine nature of Uto is what is clear in Egypt. We can certainly get an idea of the flaming serpentine nature associated with Apollon via this association that Leto has as a matter of inheritance whether she is regarded as his mother or nurse. This oracle goddess who is both serpent and had a cult in which the shrew was given particular honor forms an interesting variation of the hunter/prey theme that I have written of before. In a sense she is herself like a self consuming fire, a self consuming serpent for she is both the serpent, the natural prey of the serpent, the shrew. It provides an interesting dichotomy housed in one goddess that gives some direction of thought that she is herself constantly consuming like all devouring time, nursing life and destroying it without effort and in every breath and movement. Night that is constantly bringing forth day and consuming it again. This makes her, although she is not envisioned as a huntress, the principle companion of her daughter in the hunt. Whereas Artemis is the energy of the hunt, I imagine Leto to the be the very force of the nature of the hunt, the natural repurposing cycle of birth and destruction. Likewise, as Apollon by his nature is preserver and destroyer, she is as the very force behind his destructive power. She, like her mother Phoebe, is one with Delphyne (which I believe may have occurred to the Hellenes historically given her association with Buto and Buto’s own oracular providence) who is both the serpent arrow of Apollon and the victim of the arrow. Yet for all of this she is possessing serpentine qualities of grace and beauty, although often concealed within the veils of shadows. Mysterious, lethal, but powerful and gracious all at once. Whereas Artemis is the mover of the energy, and Apollon directs the movement of energy…Leto is raw power itself. It is for this reason she is devouring and generating all at once and ceaselessly. Leto is inseparable from the cults of her children because she is coiled deep within both of their disciplines and natures. Her relationship with them s by necessary different than the maternal relationship of Demeter/Persephone. Fact of the matter, aside from directing and protecting her offspring one does not really see a very maternal side of Leto in terms that we commonly think of it. We see the unknowable, the gracefully elegant, nurse and killer and fierce protectress……we see her raw power for which she was also associated with goddesses such as Rhea. *correction: I misremembered the name. Buto has been corrected to Uto. Many thanks to Edward Butler for the correction!